During the NFL season, Hawkins flies L.A. to New York every Saturday night, then drives to Bristol, returns to New York, returns to Bristol and flies back to L.A. to juggle his various jobs. He said that grind's important for someone trying to break in. For Andrew Hawkins, the end of his playing career hasn’t led to him slowing down. 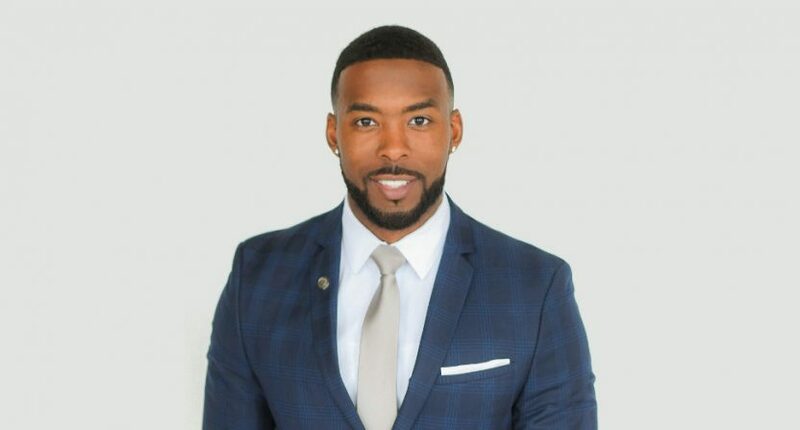 Hawkins played two seasons in the CFL with the Montreal Alouettes and six in the NFL with the Cincinnati Bengals and Cleveland Browns, retiring in July 2017, but has since landed prominent roles both at ESPN and with LeBron James and Maverick Carter’s Uninterrupted. He spoke to Awful Announcing recently about those jobs and the regular coast-to-coast travel that entails. Hawkins said that leads to quite the hectic schedule, especially during the NFL season. He’s not doing that exact L.A. to New York to Bristol commute every week during the NFL offseason, but Hawkins is still regularly flying around the country for speaking engagements, ESPN work, and Uninterrupted work. That travel takes a toll, but he said it’s worth it to try and make his mark on the sports media world. He said he also had previous experience dealing with a weekly commute while he was getting his master’s degree (in sports management) from Columbia during NFL offseasons. He said it’s difficult to stand out in today’s sports media world, so putting in this kind of effort and jumping at opportunities is a way for him to show what he can do. That’s led to Hawkins picking up some interesting gigs. In particular, he cites serving as one of the hosts on SportsCenter on Snapchat (which recently received a Sports Emmy nomination for Outstanding Social TV Experience), something he hadn’t even heard of before he was asked to do it. Hawkins sees similarities between his efforts to break into sports media and the path he took to the NFL. He went undrafted in 2008 out of Toledo, signed with the CFL’s Montreal Alouettes, appeared on Michael Irvin’s 4th and Long reality show, then spent two seasons in the CFL (where he won back-to-back Grey Cups with the Alouettes in 2009 and 2010 under Marc Trestman, who’d go on to coach the Chicago Bears, the Toronto Argonauts and now the XFL’s upcoming Tampa Bay team) before signing with the St. Louis Rams in January 2011, getting cut by them that August and joining the Bengals on waivers. He parlayed that into six seasons in the NFL with the Bengals and Browns, which he attributes to his work ethic and willingness to jump at any opportunity. And he said that’s his approach to sports media too; he recognizes he isn’t the biggest name amongst former athletes, so he feels he has to work even harder to stand out. Hawkins has the unusual setup of working both as front-facing talent (with ESPN and with his Uninterrupted podcast) and as a behind-the-scenes executive (with Uninterrupted and The Robot Company). He said he enjoys doing both and wants to stick with both, but his Uninterrupted role is particularly rewarding because it helps him connect with current athletes and share what he’s learned with them. He said he hopes to settle into a role with less traveling eventually, but he wants to stay working both in front of and behind the camera. And for the immediate future, he has no plans to dial his efforts back.